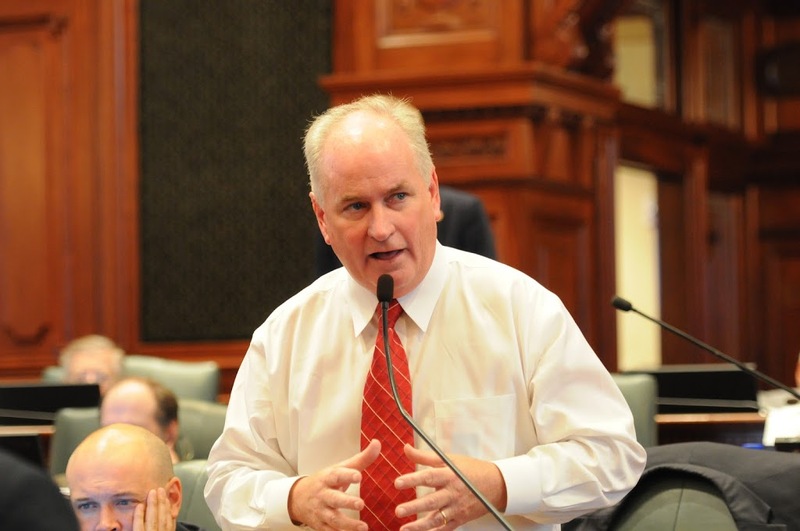 A new state law guided through the House by State Representative Dan Brady requires Health Organizations operating in Illinois to meet the same high standard of financial reporting as other insurers. Rep. Brady says the new guidelines provided in Public Act 99-0542 help ensure HMOs and other Health Organizations remain financially able to meet members’ needs. “In a nutshell, this new law provides the Department of Insurance another tool to help ensure HMOs and other Health Organizations have the financial resources on hand to meet their obligations to families that depend upon their coverage,” Rep. Brady said. P.A. 99-0542 requires Health Organizations to file with the Department of Insurance a Risk – Based Capital report, as is currently required of other insurance providers under federal National Association of Insurance Commissioners (NAIC) guidelines. Risk – Based Capital (RBC) is a method of measuring the minimum amount of capital appropriate for an insurer to support its overall business operations in consideration of its size and risk profile. RBC limits the amount of risk a company can take, and it requires a company with a higher amount of risk to hold a higher amount of capital to provide a cushion against insolvency. “Not only does this new law bring Health Organizations up to NAIC reporting standards here in Illinois, it also adds an important protection for health insurance consumers,” said Rep. Brady. The new RBC reporting requirement was passed unanimously in both the House and Senate this spring and was signed into law by Governor Rauner on July 8th.